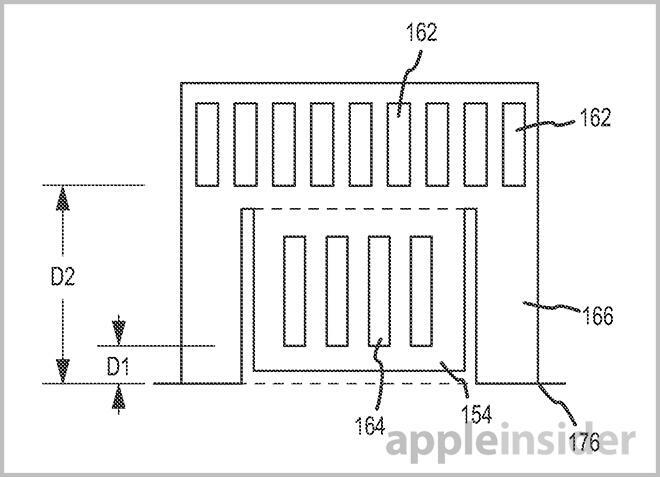 A patent application discovered on Thursday shows Apple is actively looking for more ways to slim down its MacBook lineup, with the invention illustrating a combination SD card slot and USB port. 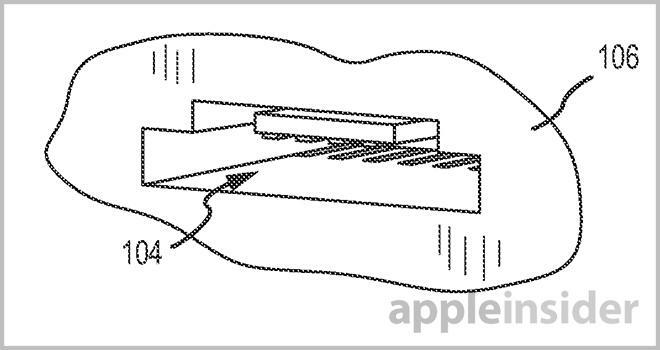 As published by the U.S. Patent and Trademark Office, Apple's "Combined input port" filing details a new system that integrates both an SD card reader and a USB port into one unit. The combination would not only save on external space, but also on the internal component layout needed to drive the two standards. The invention's language is quick to point out that an SD card and USB port are merely illustrative, meaning the port could house any number of suitable interconnects, including the forthcoming Thunderbolt 2. In its application, Apple uses the MacBook Air as an example device that would benefit from such an arrangement, though the setup could feasibly be implemented into any of the company's products. In some embodiments, the input port may have electrical contacts located at different depths for the different connectors, e.g., a first set of contacts for the USB plug and a second set of contacts for the memory card. In this manner, the correct contacts may be aligned with the correct connector, even though both connectors may be inserted into the same port. Overhead view of contact depth. Further, the invention calls for the port's aperture and enclosure to include physical attributes that facilitate secure connections when a cable is attached or a memory card is inserted. For example, alignment features like notches in a memory card can interact with retaining mechanisms like detents or springs disposed in the input port's walls. As seen from the illustrations above and below, the single-port system is limited by the very idea that allows for the combination of two or more inputs. By varying the depth of the port's electrical connectors, the invention can support only certain types of hardware, though it is possible that the location of the contact surfaces be adjusted to conform to a given connector type. 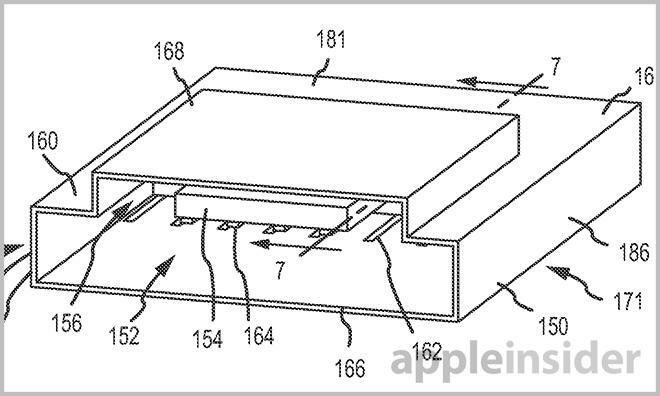 It is unclear if Apple plans to use the technology in an upcoming product, but similar products already exist as so-called "all-in-one" card readers. These external devices are not identical, however, as they don't deal with two completely different protocols as described in Apple's patent language. Apple's combined input port patent application was first filed in 2011 and credits Changsoo Jang as its inventor.